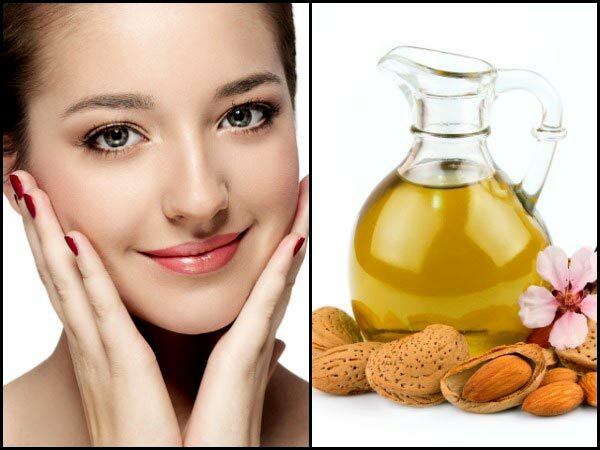 Everyone want's gorgeous beautiful skin , is it possible?Let's know,as always i promote the best homemade natural remedies for skin or hair care.This time i also promoting the best natural remedy for the skin care.The best homemade natural remedy for your skin care is sweet almond oil. But there is a big question that 'is almond oil good for skin'?This question has an straight answer.Almond oil is being used for skin care since ages,it is very important for skin care. Benefits of sweet almond oil for your skin? As we all know that almond oil is rich in vitamin E,protein,zinc,potassium and fatty acids which is best for our skin to get gorgeous look or tone. As you know that almond oil is mild and hypoallergenic oil so it is good to use in sensitive skin and even you can use it on baby skin.It also protects our skin from oxidative stress and UV radiation damage.It keeps our skin soft and smooth.One of the best thing about this oil is that when it's gently massaged into the skin it gets absorbed quickly.That's why always people want a massage with this oil after bath. 2.It is used to deep cleanse skin and prevent our skin from blackheads,dark circles and acne. As you know that almond oil is so light in texture that makes it easy to penetrate deep into the skin.It also removes accumulated debris and dirt from your skin pores and hair follicles and gives a real softening to your skin. Sweet almond oil is rich in vitamin A which is very helpful in preventing our skin from blackheads and acne. It is also good treatment for dark circles appearing under the eyes simply apply the oil below your eyes and gently massage slowly for few minutes every day before going to bed. To get the glowing skin here is an easy natural way is apply the almond oil on your face and massage gently for 15 minutes and leave it overnight and in the next morning wash your face with clean and little cold water.Repeat this procedure every night before going to bed until you get the desired result. Sweet almond oil has emollient properties help smoothen and moisturizes your lips and also it has some effective properties which lighten the dark lips and fade dark spots thus help to reduce lips discoloration.So take only two or three drops of sweet almond oil in your finger tip and rub it into your lips for 2-3 minutes.Repeat this regularly you will definitely see the gradual change in your lips. This is one of the best part of this oil is that it generally causes no allergic reaction so it is very good to use it safely on sensitive skin.This makes it suitable for removing makeup even from the most delicate area around your eyes. Take a few drops of sweet almond oil on a cotton pad and apply it evenly over your face and leave it for few minutes(2-3 minutes) and then wipe it with the another cotton pad or ball. Take necessary amount of almond oil as per of your need and slightly warm it. Now,wait for few minutes till then you can wash your face gently and pat dry with clean towel. After that dip your fingertips in the oil and apply it into your face and massage gently for 5-10 minutes. Then leave it overnight and in the next morning wash your face with the clean and little cold water. Repeat this process daily at once regularly until you get the desired result. I will recommend you that follow this process daily at night before going to bed so you can see the gradual change in your skin very shortly.